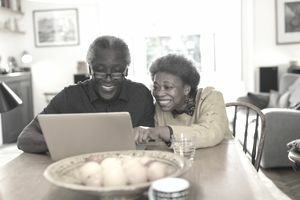 To see your own tailored estimated benefit amounts at different ages, sign up for an online account with the Social Security Administration. Here’s one other important reason to delay your Social Security benefits. For married couples, if the spouse with the higher benefit amount dies first, the surviving spouse will be able to replace his or her benefit with their spouse’s. Because women tend to live longer than men if the husband qualifies for a higher benefit amount, it would be especially advantageous for him to hold off on taking benefits as long as possible. Because of that delay, longevity annuities require a much smaller upfront investment. For example, using Vanguard’s online annuity estimator, if a 65-year-old man wanted to receive $2,000 per month right now, he would have to invest a lump sum of nearly $360,000. However, if he wanted to receive $2,000 per month starting at age 80, his required investment amount would drop to $117,000. You could even use money in an IRA or 401(k) to buy the annuity.